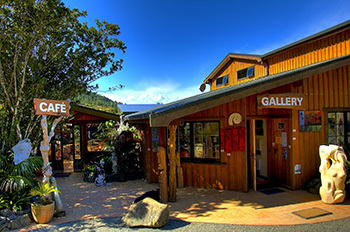 The Gallery & Cafe are set in a lush subtropical garden with magnificent bush and sea views over Helena Bay on Northland’s east coast, on the scenic coastal route to historic Russell in the Bay of Islands. 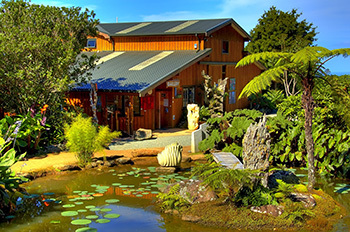 We are situated approximately 30 minutes north of Whangarei and an hour from Russell. You will find a warm welcome at the gallery and fully licensed café where you are welcome to wander and relax in the beautiful garden during your visit. We welcome enquiries about our artworks and visits to our Gallery, Cafe and garden. After 3pm we can offer cabinet food, breads and dips or one of our platters.